easy-to-use and portable charcoal kettle bbq. direct charcoal heat can use briquettes or lump providing even heat over the entire grilling surface. allows for indirect cooking by moving coals over to one side. 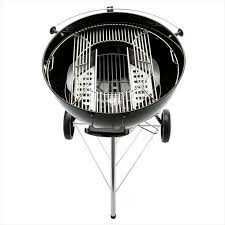 this bbq is 22.5" in diameter and includes bun / warming rack.